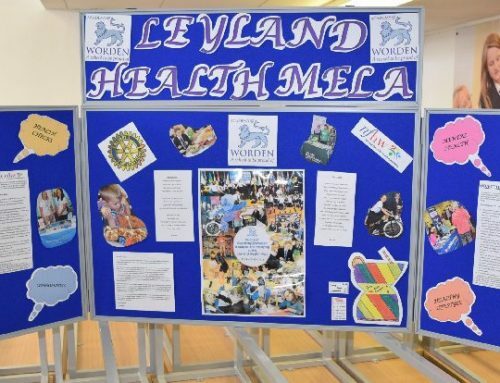 Presented this year in a re-designed format aimed to get right to the heart of a local community, the Health Mela, Leyland’s annual celebration of Health & Wellbeing, changed scale and venue and took up an invitation from Moss Side Community Forum to locate in the Community Centre on Dunkirk Lane. 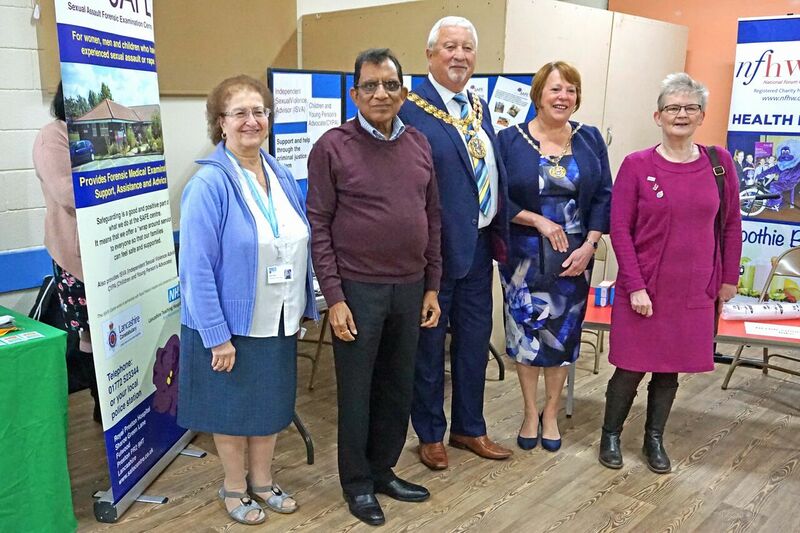 The event was held at the Moss Side Community Centre on Saturday 27thOctober 2018. 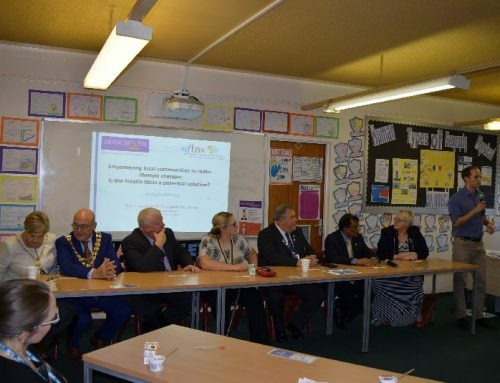 With enthusiastic support from community Leaders Michael Godbold MBE, JP and Cllrs. Michael and Mary Green, the day was planned to have maximum positive impact on the way Moss Side residents view their own role in fostering personal, family and community health and wellbeing. 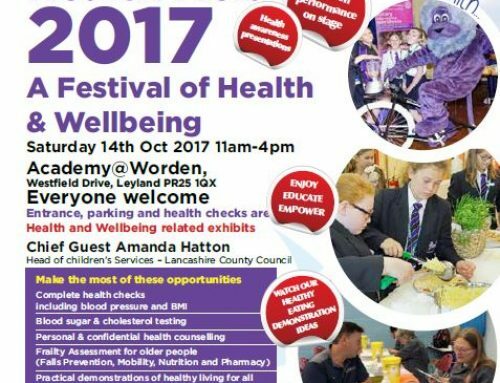 NHS and voluntary organisations representing all aspects of health and wellbeing particularly relevant to the area, responded to an invitation to set up stalls at the event. These provided a wealth of helpful information and advice. Topics ranged from Alzheimer’s to Rheumatology; Falls Prevention to Stress Counselling. 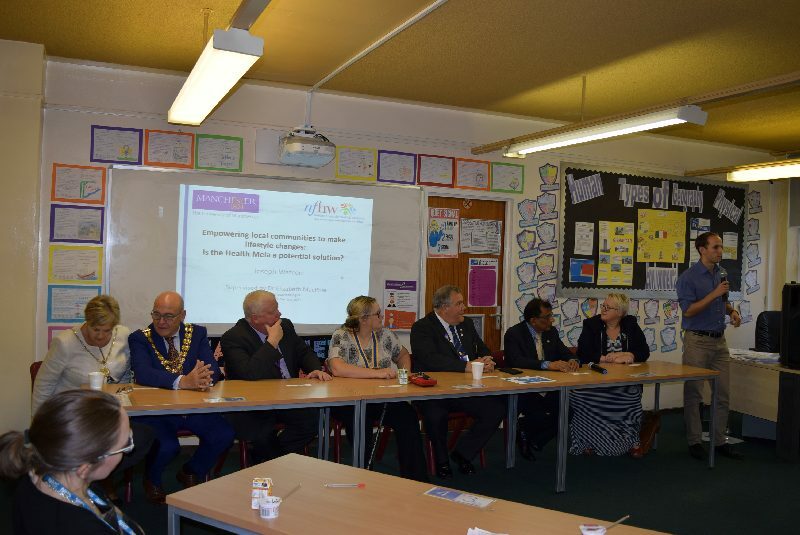 All the local NHS Trusts and organisations were present to handle queries including Lancashire Teaching Hospitals, Lancashire Care, North West Ambulance and Chorley and South Ribble Clinical Commissioning Group. Representatives from Healthwatch were on hand to handle more general queries. In parallel to the exhibition, senior students of medicine and pharmacy from the Universities of Manchester and Central Lancashire, supported by the ‘Blood Drop’ team from Lancashire Teaching Hospitals, offered visitors a comprehensive Health ‘MOT’, backed up with individualised and confidential health counselling in a friendly informal atmosphere. The day’s proceedings were opened by the Mayor of South Ribble, Cllr. John Rainsbury accompanied by the Lady Mayoress. 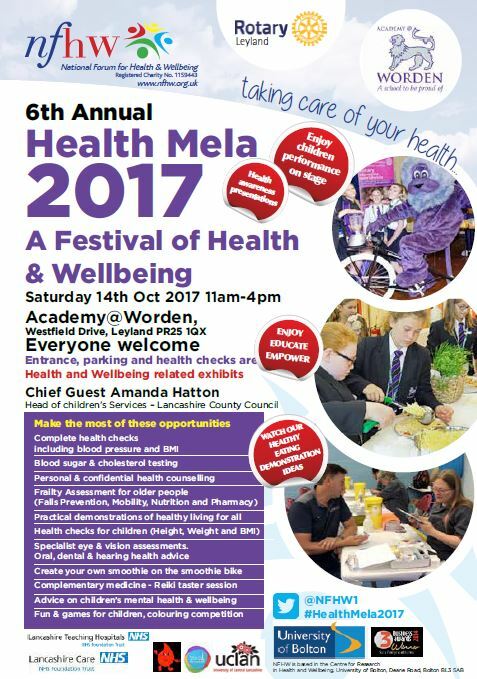 He welcomed visitors and exhibitors to Moss Side and went on to talk to stall-holders and undertake a personal Health MOT. 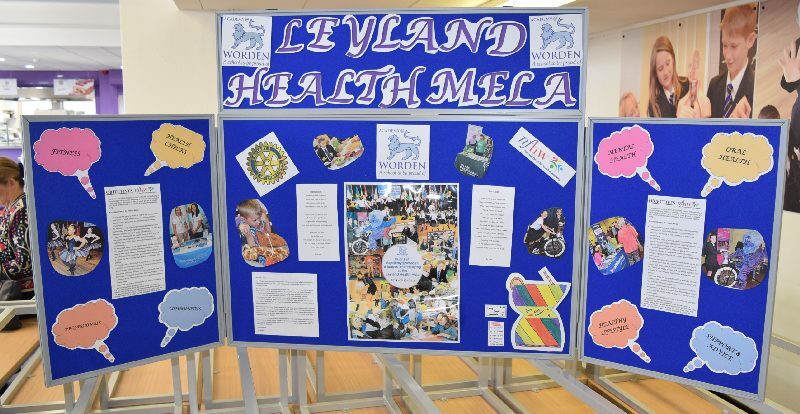 Members of Leyland Rotary Club registered visitors on arrival and welcomed them to the event. Further much appreciated support was provided by the local branch of the Co-op in the form of refreshments for the volunteers involved on the day. The event was extensively publicised by means of a local poster campaign and extensive leaflet drops and upwards of 200 visitors attended. Of this total, 52 took the opportunity to complete the Health MOT on offer. The MOT test identified no fewer than 34 (65.4%) individuals with results requiring further investigation. All participants in the Health MOT were offered personally tailored and confidential counselling.